Cheese Cyclone Burgers, KitKat Shakes & More: We Just Dropped By Cake Bake Shake! 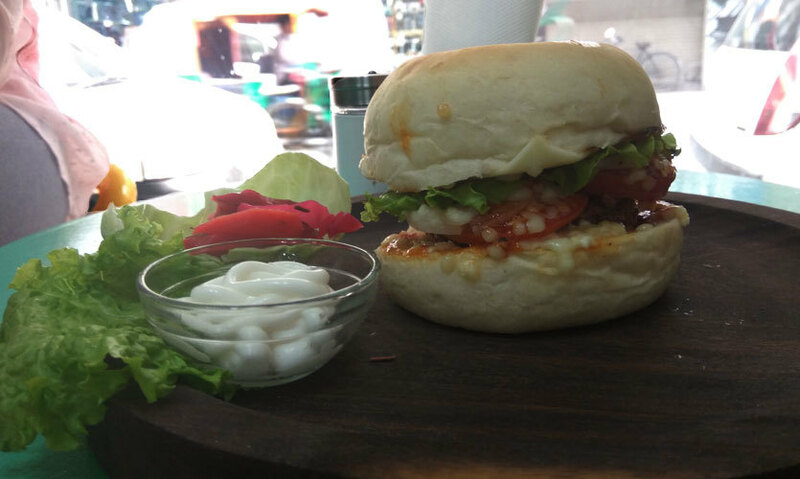 The Paneer Tikka Cheese Sandwich comes with copious stuffing of your traditional paneer tikka with tandoori sauce, coupled with loads of cheese which you’ll savour with every bite. 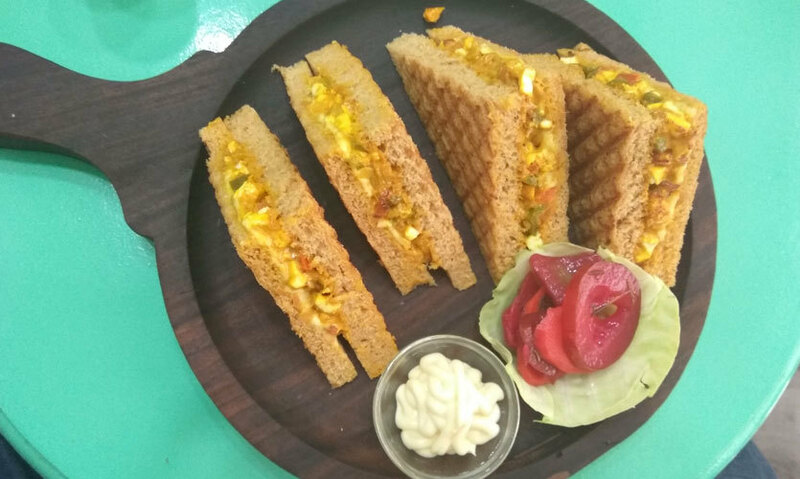 Serving four triangles with mayonnaise and some salad for just Rs 120 is not too bad a deal either! The bread felt fresh and was grilled to perfection. Neither too soft or soggy, nor too stiff. Taking fuller bites of this one is highly recommended! The next dish we tried off Cake Bake Shake&apos;s menu is this burger called the Cheese Cyclone, which is basically a burger patty with fresh vegetables, sauces and way too much extra cheese. To be fair, the burger did cause a storm in our appetite for the cheese alone. The bun, however, could’ve been better! One of the many little things we liked about Cake Bake Shake is its attention to detail. With the pizza, they give you the choice of bread, either just wheat or wheat and pizza sauce with mustard flavour. 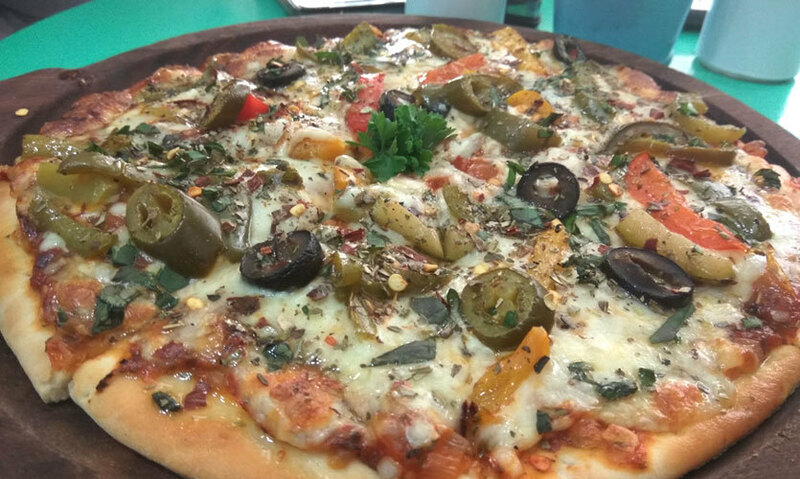 Having said that, we went ahead and ordered ourselves their Ortelano, which is one of the specialities and consists of toppings like mozzarella cheese, herbs, flavoured grill mushroom and corn. This one is an absolute delight with flavours of herbs blending beautifully with flavoured grilled mushrooms. We honestly don’t know where to begin with when it comes to their Coffee Toffee Shake! It’s the one shake which instantly catches your eye and leaves you only wanting to have more. The shake is an absolute must-have. 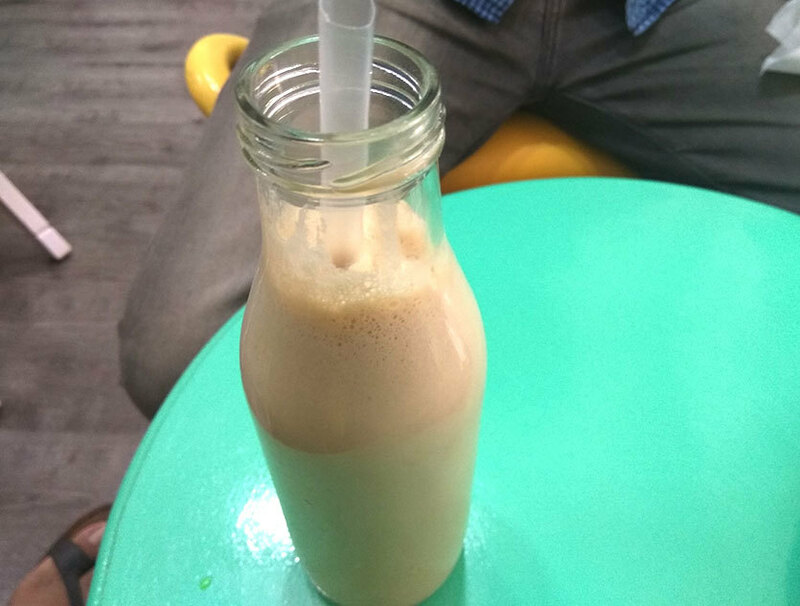 Even if none of the dishes mentioned above appealed to you, go to Cake Bake Shake just for this one, and we&apos;re certain that you will fall in love with its rich creamy and toffee taste along with coffee. It’s a breath of fresh air when you&apos;re tired of ordering the same old shakes everywhere. 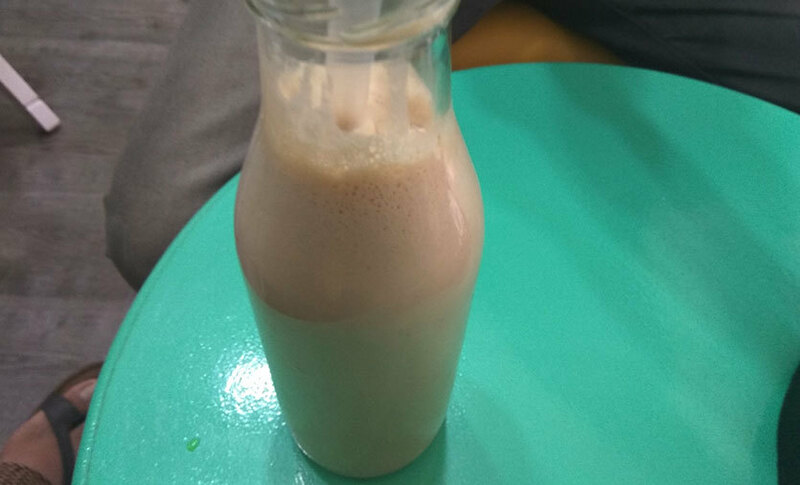 This one is pretty much a regular shake, with heavy additions of chocolate and KitKat, with the latter being both mixed in the shake as well as topped with, resulting in a thick, creamy texture of the shake making it next level tempting! We found the quantity of the shakes served here to be a little more than what you usually get, especially in this price range. Not only this, their shakes don’t feel thin or watery which is often the case when places serve more than usual quantities. Nice! The assorted waffles aren’t named so just because! 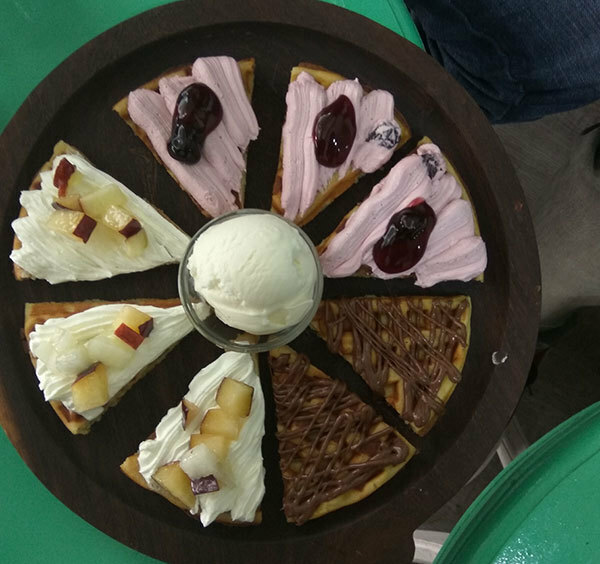 Them folks at Cake Bake Shake do serve some fine, eclectic and crispy waffles, and in the Assorted Waffles Platter, you get an array of three different kinds of waffles to gorge on, which are - Caramelized Pineapple, Nutella, and Blueberry with Cream Cheese. This means two slices of Nutella, and three slices each of Caramelized Pineapple and Blueberry with Cream Cheese. Basically, you won’t have to hold back the temptations of your sweet tooth with this place! Like we said before, the place is also a bakery (as the name suggests), and they serve the most crazy variety of cakes in the area, ranging from Black Forest and Milky Forest to Walnut Truffle and Pumpkin Nut. Some of the other sweet items on the menu includes tarts, jar cakes, macarons and cupcakes. Come on over, seeing as we&apos;ve already tempted you enough!